It is more like my emotional body is in such transition within the NOW that the polarities of “good” and “bad” emotions are overlapping and even interlacing. I am not unhappy. In fact, often I am very happy, but I do have moments of, not really sadness, but more like grief. Yes, I am having sadness that is more like a grief. However, the grief if also filled with expectancy that what I am now apparently losing will be replaced with something that is currently beyond my ability to put into language. Meanwhile, I think I am getting what I have always wanted. But sometimes I feel sadness that what I had instead seems to be leaving. “Why did this not happen sooner?” and other thoughts time-based flood my mind. Simultaneously, I am having many journeys beyond time in which I blink out for literally a second or two, but come back to the 3D feeling disoriented and confused. That is, I hope I am scouting out the trail and not “just daydreaming.” However, daydreaming about a fifth dimensional reality that I can easily slip into is MUCH better than worrying about the bills I can’t pay or whatever is happening with my body. Hence, I choose to go with the ascension version of reality. Yes, ascension is the reality that I AM choosing to attend to—that is most of the time. To stay aligned with my higher dimensional reality, I need to stay away from the “bad news” that confronts us everywhere we look. And most importantly, we have to call on the higher dimensional members of our SELF, which I am NOW doing? I will stop talking now and listen for your answers. You are not above the sensation of fear, as fear is not just an emotion. Fear is a warning that your resonance is lowering and it the NOW to recalibrate your consciousness, and thus your thinking, emotions, perceptions and communications. Greetings, we are the Arcturians. We will begin by reminding you of a morning message we sent you on 4-28-14. · Those who wish to transfer that information from their superconscious, Higher SELF into their conscious third dimensional self. However, after just a short moment, I felt a tugging sensation on my feet, which stopped my upward motion. I realized that there was something that I had to release, but I didn’t know what that was. It was an orb with a face, but I could not recognize it, as the light was too bright. As the face came closer and closer, I still could not recognize it, but I KNEW who it was. I was ME. It was the face of my SELF. The path of ascension is paved with patience. We are accustomed to thinking in human time, but we are actually leaving time. 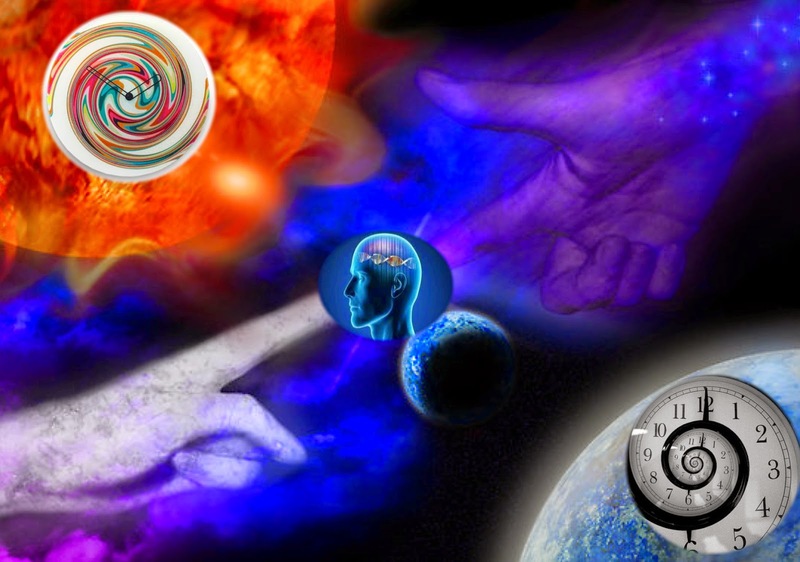 Therefore, thinking in any “time” binds us to the third dimensional paradigm from which we are trying to break free. In fact, “trying” also creates anger, which lowers our consciousness. Many people have asked the Arcturians, “What can I DO to facilitate my ascension?” The Arcturians always give the same answer of, “Do what you love!” Love is an action of letting go because love is based on faith and surrender. When we cannot surrender into love, the feeling of love dries up from the lack of our constant connection. Thank you, Sue, for reminding me again, and again and again to 'let go'. This 'letting go' business is the most difficult experience I have encountered on the Spiritual Warrior path, taking so much patience and practice, but the third P in that is persistence and I will not give up. Love, B. Thanks Sue. What you say resonates so much with me. It gets so confusing. Warrior vs surrender. Those two words bring up such different images. Warrior seems to suggest that I need to take action. Stand up and be strong, but strong how. Surrender seems the opposite. To me, ascension feels like an over-powering magnet that I know I have no choice, other than to fulfill whatever I am being driven to do. Unlike you, who is being driven to share these messages with us, my mission at this point seems less clear. I have to trust that all is being revealed in its time. You are a constant anchor for me for these last couple of years. Each day, I search your site to get my Suzanne "fix". Thanks so much for being so courageous! You are doing wonderful things. NO time of the NOW. Getting to the NO time is a stretch, but one that is becoming easier for us all. Sue, thanks for being so honest about your feelings with your readers. I've never seen people who are comfortable with letting others see their weakness. It really means a lot to other light workers so that they know others are ALSO riding the emotional roller coaster, and that it is ok to be weak because we love ourselves unconditionally. Your recent two posts describe exactly the same scenario that I've been through and still experiencing. When we are in high spirits, we are better tuned to higher dimension. But when everything goes wrong, it throws our "antenna" out of wack. And then we find ourselves taking this roller coaster again and again. Like you, patience is never my cup of tea. There are moments when I seriously doubt the worth of it when I look at the people around me, feeling them being so lucky to be "plugged" to the illusion and keeping asking myself why I have to wake up. When I am re-tuned, however, I feel otherwise. But which one is the real us? I would say both the complaining and uplifting one are us. We all have our darkest selves that we prefer NOT to let others know. We have spent our whole lives trying to earn recognition and look good in front of others, so it is only natural that these darkest selves come to the surface to inform us of their presence during the transition. We can still choose to ignore them, or muster up enough courage to accept them. I think that's probably why the Antarians are encouraging us to integrate our light and dark selves at this moment. It is really good to know that one is not alone, Sue. I really appreciate it and respect your courage. Thanks! Incidentally, these days I'm getting this hunch that I do know Mytre and Mytria. I do not feel myself as multidimensional selves of them, but they still feel like an old friend to me. Yes, I know how strange it is for a total stranger to say something like that, especially they are your multidimensional selves. Even if I do know them, it doesn't mean that you have to know me. We all have our free will and I certainly know how strange it is. Maybe it is just in my head. Anyway, thanks for the two messages, Sue. We all really appreciate it. Basically everything is "in our head" and the sooner we realize that the less we will be confused. I hope??? Love the pun. Thanks Sue. Namaste.